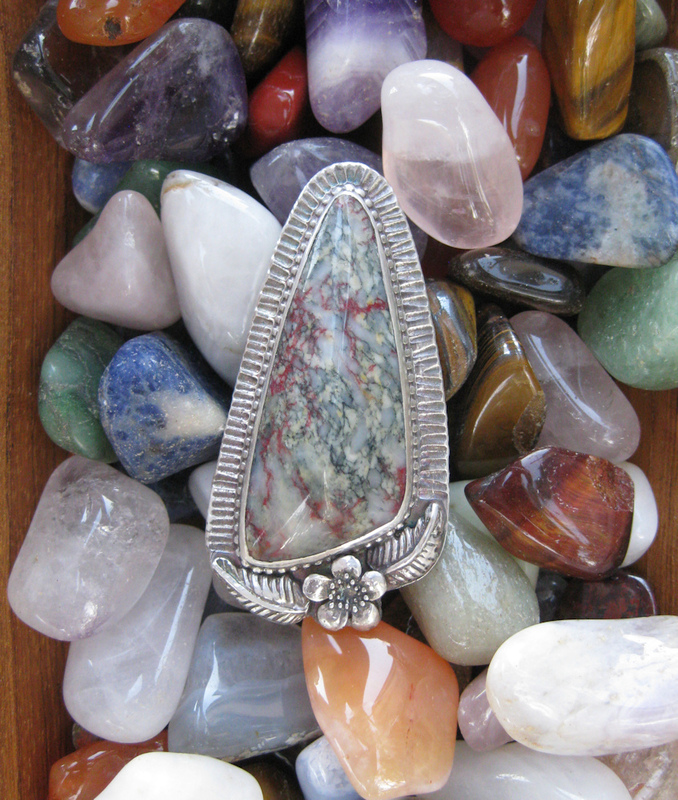 Here is an unusual example of Cuprite, a minor copper ore. 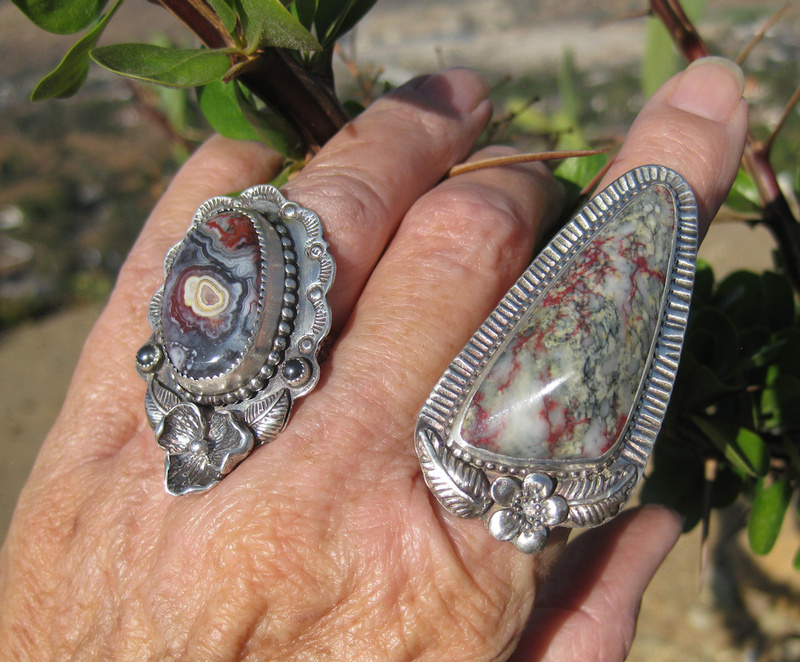 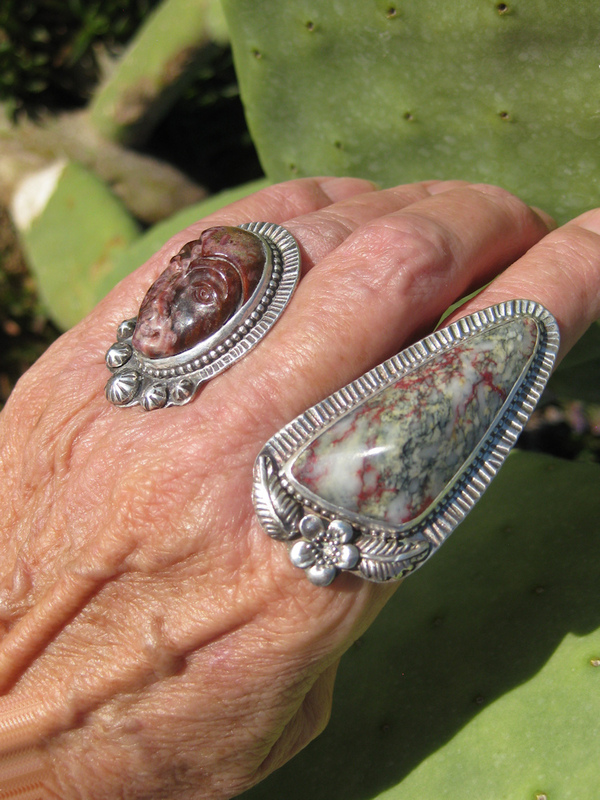 The large stone is subtle with its greys and streaks of red Cuprite so it plays nicely with other rings in a fantastic stack, or by itself with business or casual attire. 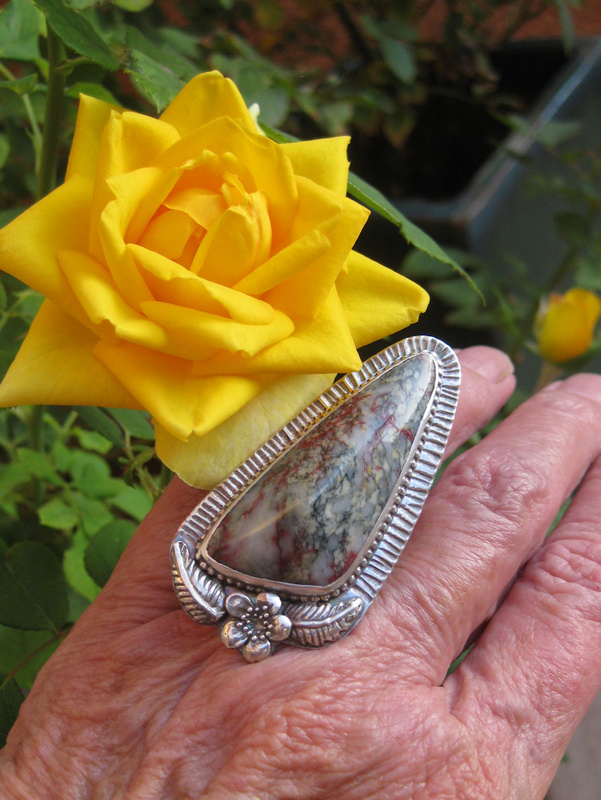 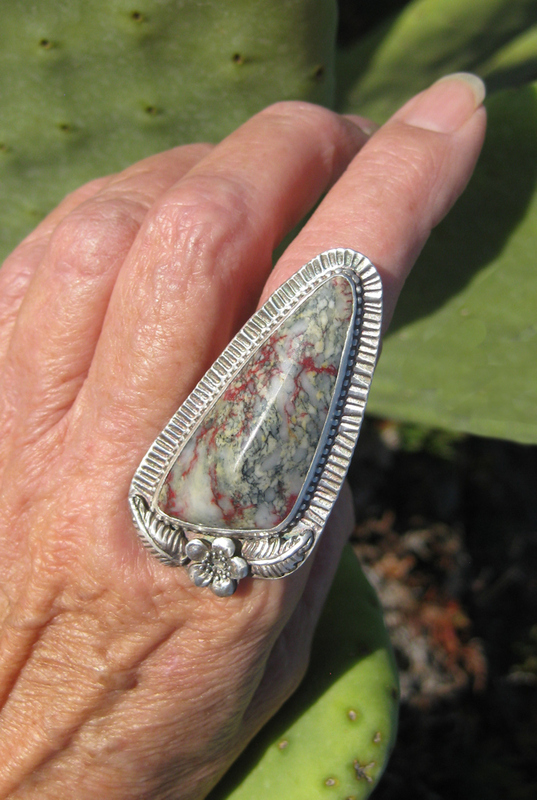 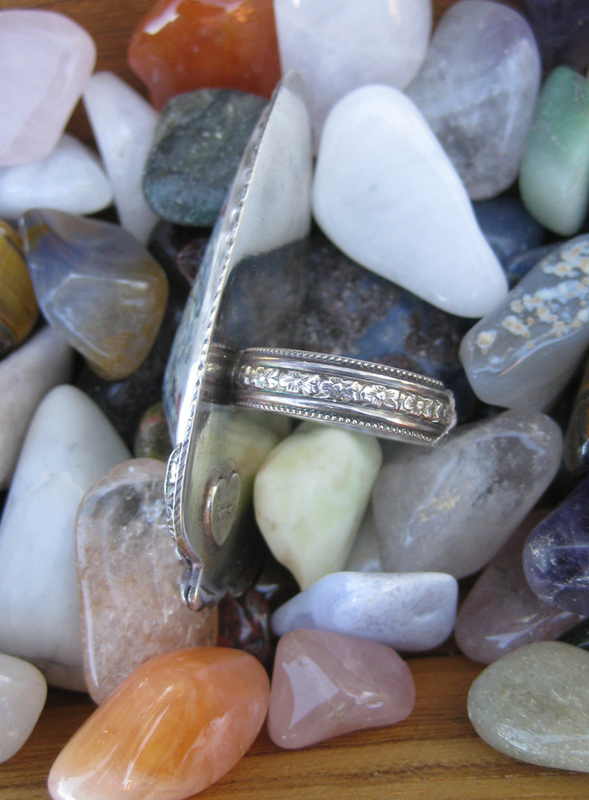 It looks great worn on any finger.